Afghans are fun to make, cozy to use and make wonderful gifts! This book is a reference tool you will use for years. 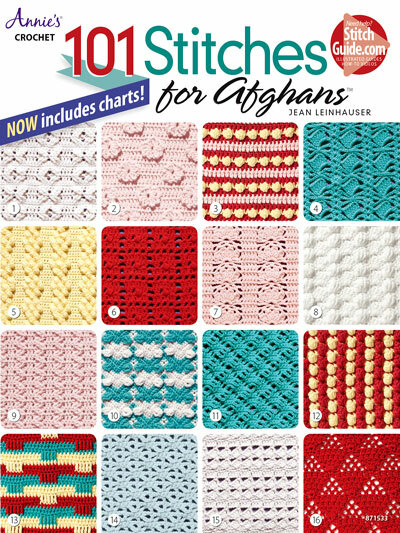 The afghans can be crocheted using baby-, sport-, worsted or bulky-weight yarn and in your choice of colors. Stitch patterns have been carefully chosen so they are not too open-weave, not too difficult and not too time-consuming. Symbol crochet as well as written instructions are included.